Owing to the need to speed up work in Norway to complete activities by the end of summer, two sections that were finished work in Denmark were sent over to assist in Norway. With this move I was now 100% operating in Norway. 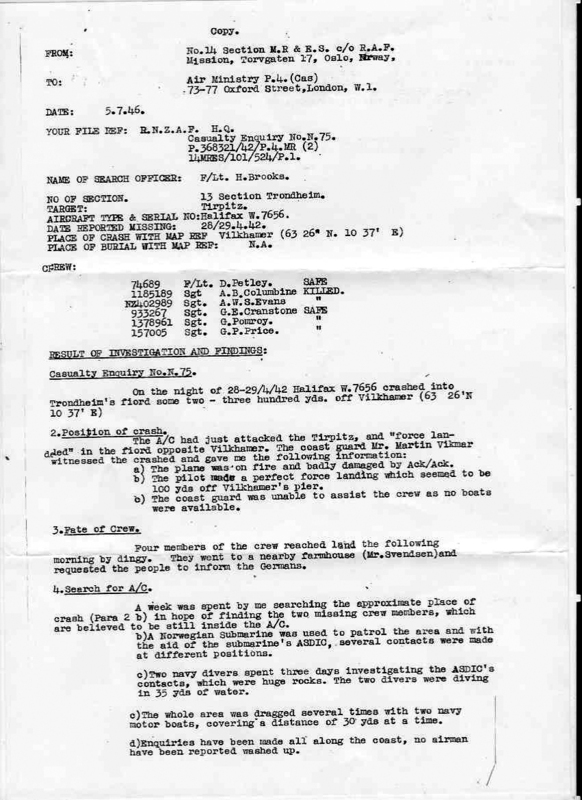 Section 17 arrived first from Denmark on 5th May was commanded by S/L Rideal. They travelled to Bergen, their HQ, and took up accommodation at the Bergen Plass 13, liaising with L.K.V. (Luft Kommando Vest). I was formally associated with the second of the sections that arrived from Denmark. 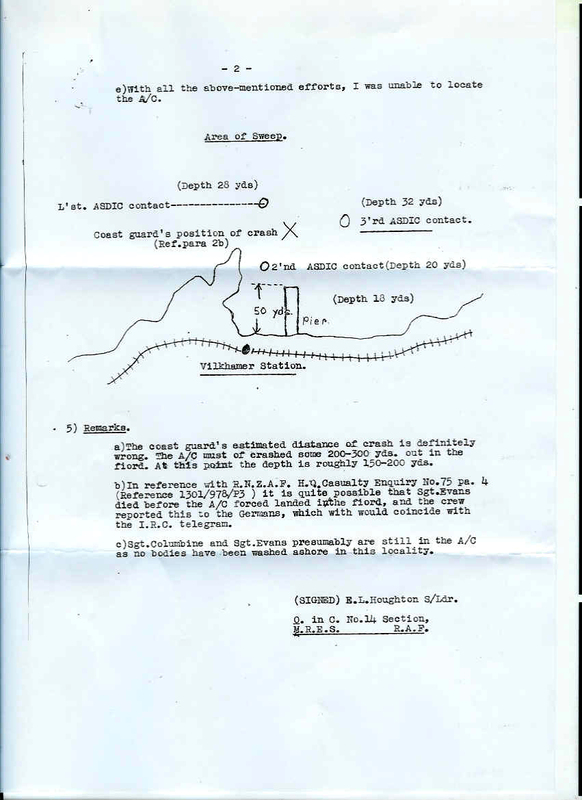 No 13 Section, commanded by S/L Young that arrived full time in country on 3rd June. S/L Young took our section straight through to Trondheim where we found offices at Kuhgaten 4 and we liaised with L.K.T. (Luft Kommando Trondheim). However as mentioned previously I had been in country progressively since February 1946 based primarily out of Trondheim. My knowledge of Norway along with the excellent performance appraisals I was pleased to get were probably some of the reasons I was later selected for Operation Polesearch . All sectors were area swept which entailed the Search Officers travelling up every road and making enquiries at all towns, villages and hamlets for any information which may have been overlooked during previous enquiries. An example report, (MRES Casualty Enquiry No. N. 75) that I filed on one of my missions is shown below. Unfortunately I was not able to locate either the plane or the downed airmen. 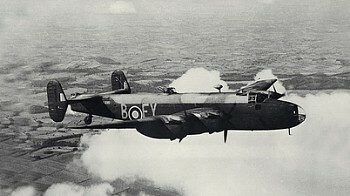 ( Editor's Note: Many years later, in the fall of 2014, the Halifax bomber was found 180 meters down at the bottom of a fjord near Trondheimfjorden Norway. Norway had seen a revolving door of Search officers. Officers were either demobilized or sent to other postings. When my 13 Section moved full time into the country, (New Zealander) S/L E.L. Houghton had just (May 29th) taken over command at M.R.E.S. country Headquarters in Oslo (Torvgaten 17, 7th floor) from the much respected S/L Scott who was demobilized and retired to Glasgow. 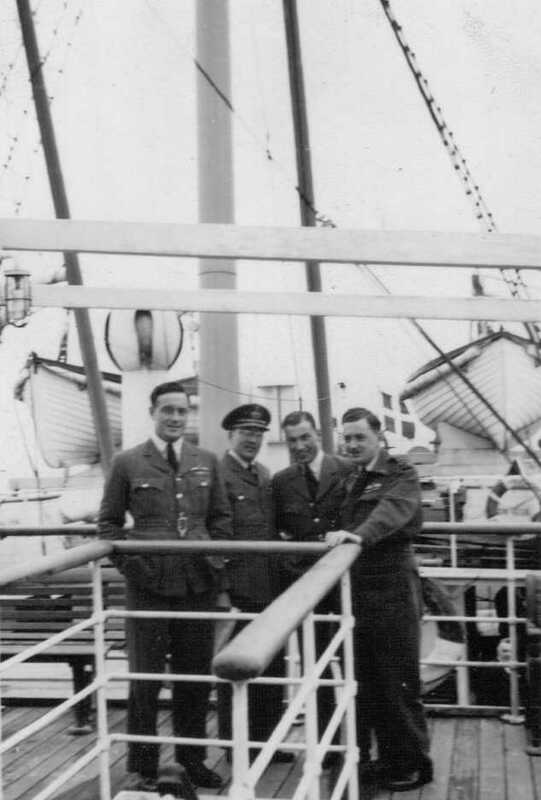 S/L Houghton had been one of the original 6 search officers in Norway but had transferred to Germany mid April of 1946. Now, several months later, he was back in charge. 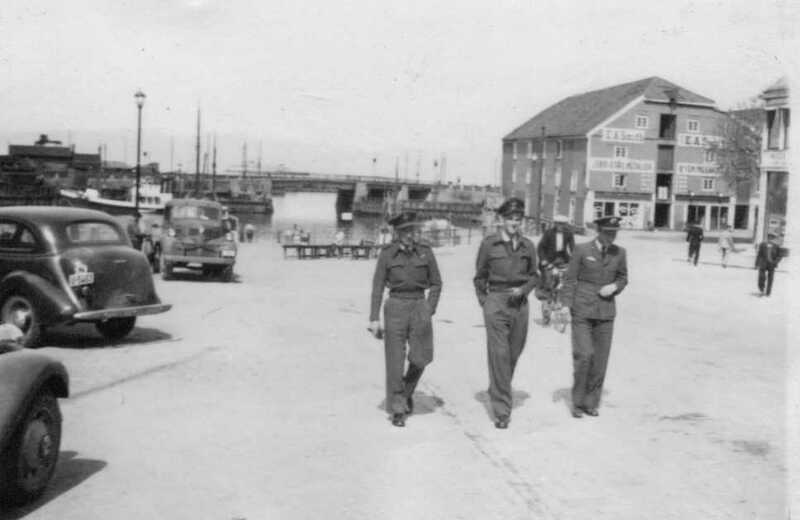 F/L Sercombe who was with the unit from mid April till 3–Sept –did not do search but was characterized within the unit as "Imprest Holder"
W/C Brinadon took over command of No 3 unit in Esbjerg Denmark on 22–July–1946 from W/C Alder. Brinadon reported into G/C Hawkins D.S.O. with his headquarters at HQ B.A.F.O. The country was divided into three parts; a Northern zone, a Western zone, and a Southern zone. Each zone had its own headquarters but all correspondence would come through country HQ in Oslo. All original files were kept in Oslo and copies were supplied to the sections as required.